Digital Masters “are 26% more profitable than their average industry competitors,” revealed Dr. Didier Bonnet, Senior Vice President and Global Practice Leader at Capgemini Consulting. 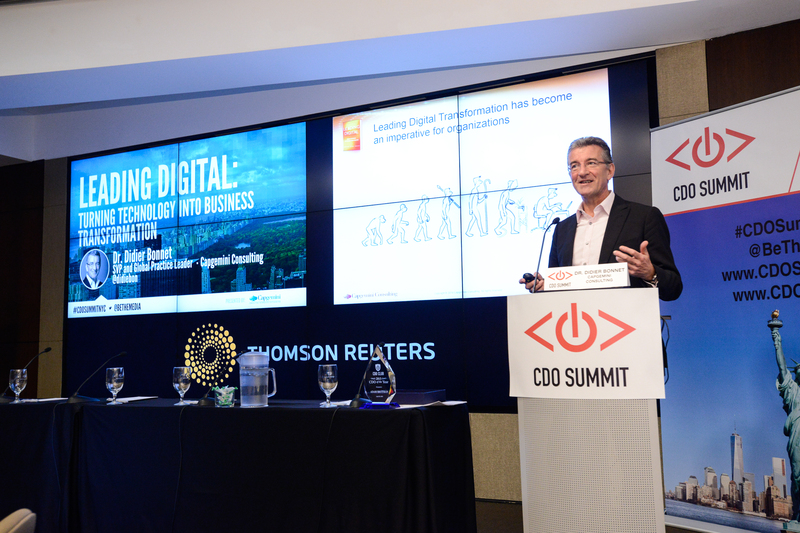 At a keynote address given at the 2015 CDO Summit on Wednesday, April 29, 2015, hosted at Thomson Reuters in New York City, Dr. Bonnet discussed research from his new book, Leading Digital: Turning Technology Into Business Transformation, based on data and interviews derived from hundreds of companies worldwide. Since 2000, 52% of Fortune 500 companies have gone bankrupt, been acquired, or ceased to exist (Digital Transformation Review No. 7: Strategies for the Age of Digital Disruption). Only a small minority of companies interviewed saw no need to change, and they are in danger of joining the 52% of those Fortune 500 companies that no longer exist. “Transforming an organization doesn’t take three months—it takes more like three years if you want to do it well. Therefore, if you let your competitors get a financial advantage over these three years, you’re really losing out all the time,” he warned. For Dr. Bonnet and Capgemini, digital masters are not the powerful Googles and Facebooks of the world. In fact, these tech titans make up only 6% of the world economy. Rather, he looked at regular companies across sectors, and focused on those that differentiate themselves using digital. Dr. Bonnet never expected a government-run, Chilean mining company to fit the bill. Yet that is exactly what he found in Codelco, proving digital can benefit any organization today. “For the people who do that well, what can we learn from them?” he asked. The Leading Digital research team tracked two variables to ascertain whether an organization was worthy of digital mastery. First was its digital capability, or the “what.” The second was the “how,” meaning its leadership capability. Both are vital. 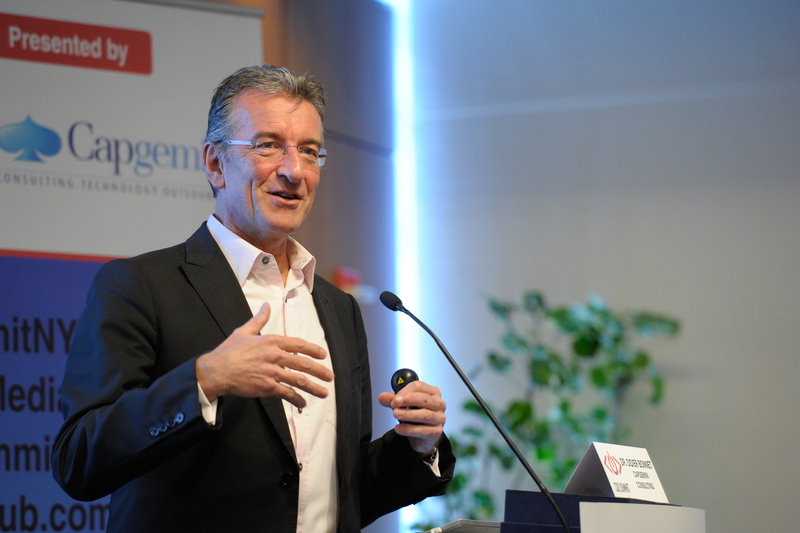 “Successful transformations depend as much on how firms manage digital transformation as on how they implement new technologies,” he explained. “Beginners” were those companies who refused to change, as described above. “The companies that are still hostile to technology will have a really, really tough time going forward,” Dr. Bonnet concluded. Asianpaints is one company that fit this profile. Its supply division was in fact pushing digital innovation, but executives’ demands to first see ROI halted progress. 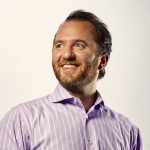 When the company stopped silo’ing digital, they became digital masters. “They basically do wall paint. And yet they’ve completely transformed their entire supply chain, value chain, and way of serving their customers,” Dr. Bonnet noted. On the other end of the spectrum are the “fashionistas”—companies that squander resources on multiple digital projects without an overall road map. Dr. Bonnet said they “let a thousand flowers bloom. And then what happens? You have a thousand flowers.” Nike, today a digital master, followed such a model only a few years ago. Do They Make More Money? Digital masters enjoy 26% more profitability and 9% more revenue generation efficiency than their counterparts. While it’s difficult to prove correlation and causality in cases like this, Dr. Bonnet and MIT analyzed publicly available data to surmise that digital proves to be a net benefit for most companies. Even tech fashionistas enjoyed 6% more revenue efficiency. 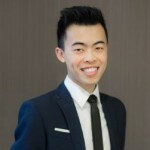 “The more digital technology you stick in an organization, the more revenue efficiency you get. 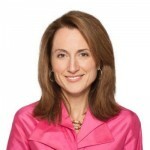 [You] sell more with the same number of people,” Dr. Bonnet surmised. Profitability, however, was far more influenced by able digital leadership. “The ‘how’ you actually conduct your transformation drives a lot more of your profitability,” he remarked. Conservative companies with good leadership enjoyed a 9% increase in profitability over their competitors. 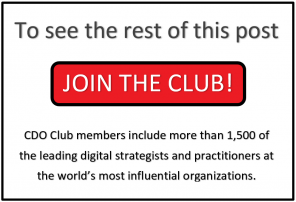 What Are the Main Pillars of Successful Digital Mastery? Dr. Bonnet pointed to Starbucks Coffee as a prime example of a company that has mastered the customer experience through digital. 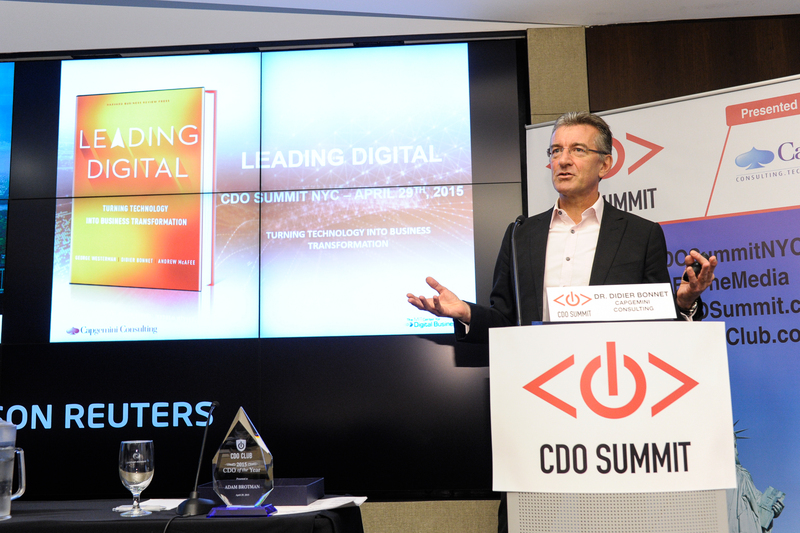 Adam Brotman, its Chief Digital Officer, was recently named the 2015 U.S. Chief Digital Officer of the Year by the CDO Club, according to Club founder David Mathison. “I’m really pleased Adam got recognition,” Dr. Bonnet said. 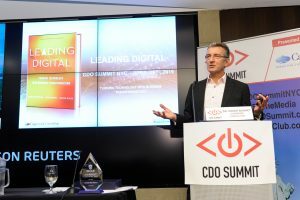 will be at this year’s CDO Summit – Register Now! While the customer experience is important, back-end operations may be an even better investment for most companies. “It might be boring but it’s actually a huge source of potential productivity,” he remarked. For example, many global banks based in Europe have automated less than 25% of their core processes. 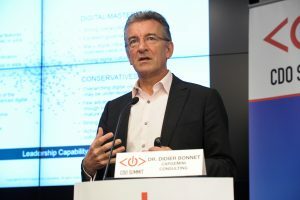 Dr. Bonnet cautioned that an organization’s core business model should be changed only after the first two pillars—customer experience and operations—have been tackled. “It feels like all the big companies are going to die tomorrow morning and are being replaced by three men and a dog in California. Maybe I’m too old, but I think it may take slightly longer than people think,” he quipped.